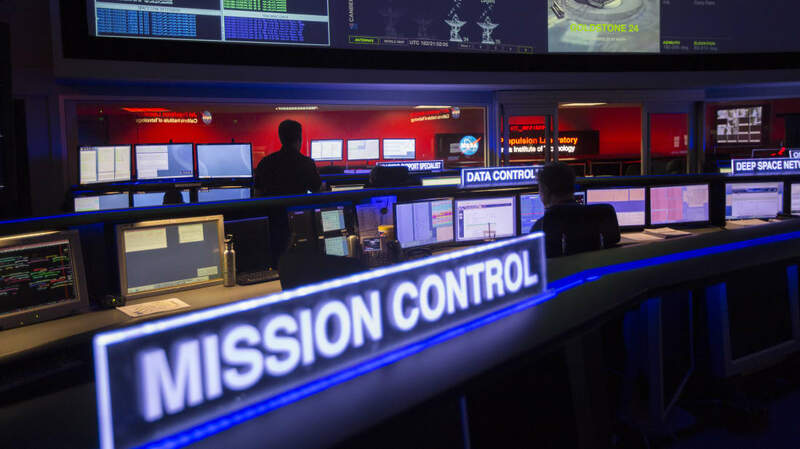 Mission control personnel go through a lot more simulations than astronauts, as the flight controller needs to develop very specialized skills and knowledge. On the other hand, astronauts in general need to develop the appropriate depth of knowledge across many disciplines. So shorter classes targeted to their needs are used instead to make the best use of their limited time. I was the robotics instructor for the EVA simulation (or sim) yesterday and the rig (the simulator system) was not behaving for me. Things were up and running quickly, but after I simulated the main robotics computer having a fatal software fault things went downhill. The team rebooted it to recover, as expected, but the rig did not cleanly handle the reboot. Suddenly it would not accept any commands to the robot arm. The hand controllers were not communicating. And the astronauts' laptop would not connect. Eventually, I ran out of troubleshooting options and had to tell my three robotics flight controllers in training that all this was unplanned and the sim was not going to go as expected for them. Other disciplines had "scripting priority," as there were controllers who were assigned to use this sim as an evaluation toward their certifications. I did not have the leverage to disrupt the sim by halting the rig to reset the robotics simulator. Flight controllers go through so many sims partly because of days like this—where, for whatever reason, they don't get as much "content" as we'd like. I told my guys to greencard that the arm simulator was working as expected, which means that they had to pretend they were seeing all the telemetry indications that would normally happen for the arm supporting an EVA. Basically: Just follow along and pretend. Each simulation is unique in terms of the coordination required with other disciplines, the malfunctions they get to work through, and the timing involved in planning. Throughout their training flow they need to display their ability to work through a broad enough variety of cases before we can call them "certified." How much they get out of each sim can be a roll of the dice.